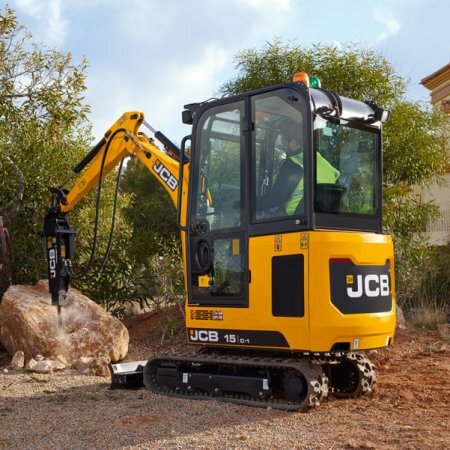 The JCB 8008 CTS micro excavator is smallest addition to the Micro Excavator range, weighing in at 875kg. 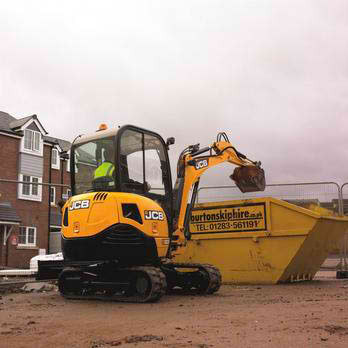 It boasts a class-leading 9kW engine and an extending undercarriage. 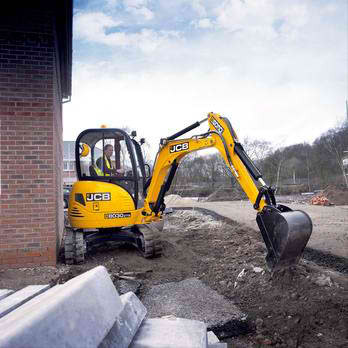 The JCB 8010 CTS micro excavator is the larger of the two JCB micro excavators, weighing in at 1028kg. 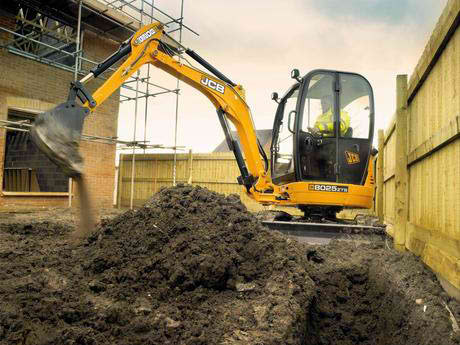 It boasts a 13.8kW engine and an extending undercarriage. 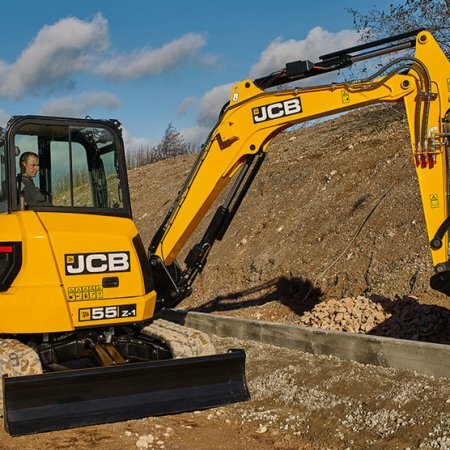 The 18Z-1 is JCB’s first zero tailswing model within it’s class, thus protecting the machine and surrounding environment from accidental damage. 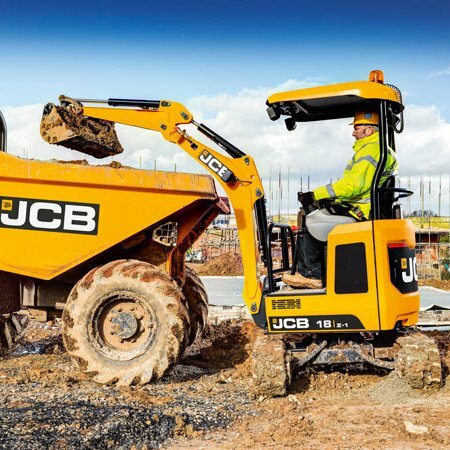 The 19C-1 conventional tailswing offers both premium or rental specifications to help choose the right machine, plus cab or canopy options. 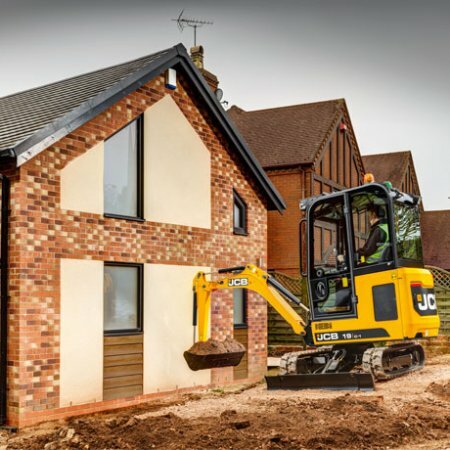 JCB’s first ever conventional tailswing mini excavator in the 2.5-3.5 tonne class, the brand new 8026 CTS is one of the largest excavators you can tow behind a 3.5-tonne vehicle. 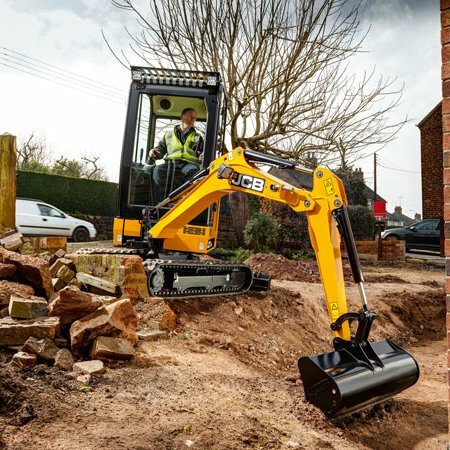 The 3651 kg 8035 ZTS mini excavator is a true zero tailswing machine with a large undercarriage for stability. 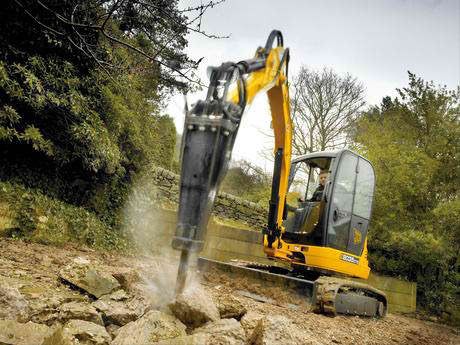 Power is provided by a 23.6 kW 1.7 litre Perkins engine. 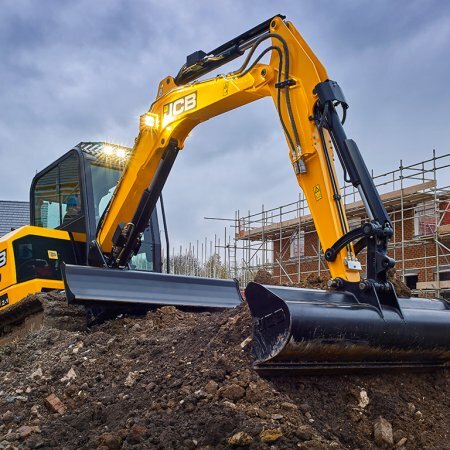 The 4792kg 48Z-1 mini excavator is one of the most powerful excavators in its class, firstly there’s an efficient 2.2-litre Perkins 404D-22 engine delivering 35.7kW at 2000rpm. 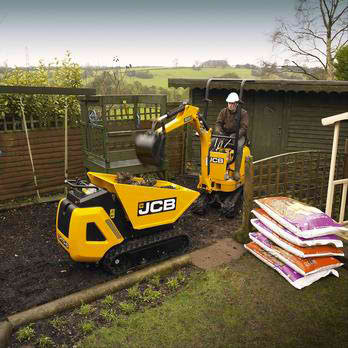 You can also opt for a Tier 4 Final/Stage 3B engine. 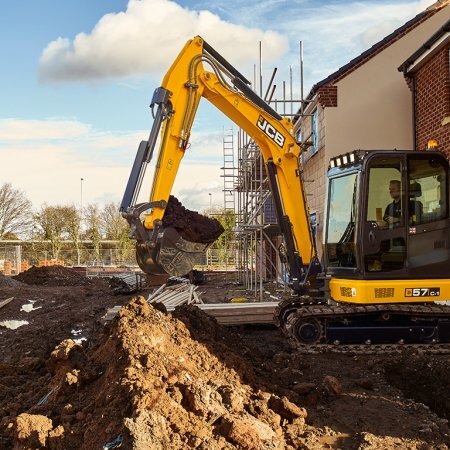 The 5112kg 51R-1 mini excavator is one of the most powerful excavators in its class, boasting a 2.2-litre Perkins 404D-22 engine delivering 35.7kW at 2000rpm. 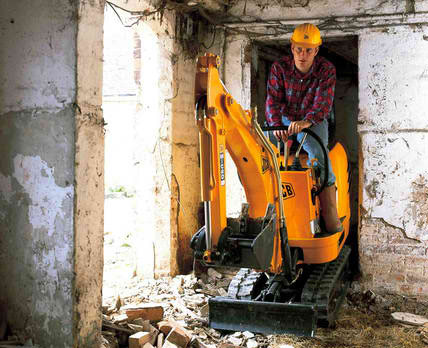 You can also opt for a Tier 4 Final/Stage 3B engine. 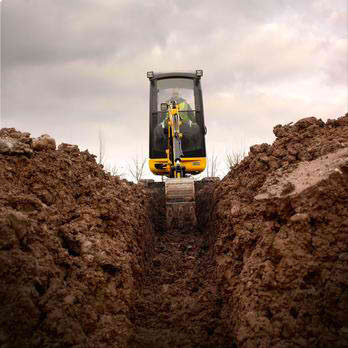 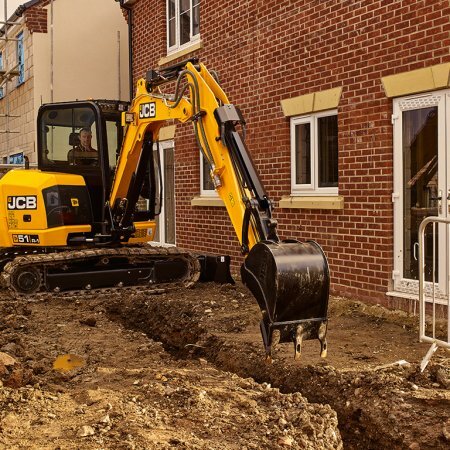 The 5366kg JCB 55Z-1 mini excavator offers superb levels of power, benefitting from 2.2 litre Perkins 404D-22 engineivering 35.7kW at 2000rpm for excellent productivity. 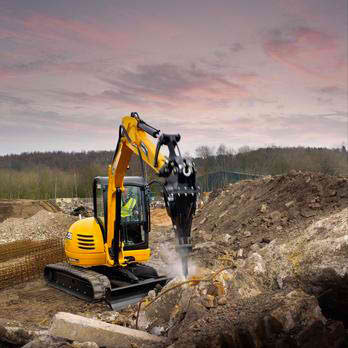 The 5483kg 57C-1 mini excavator is one of the most powerful excavators in its class, boasting a 2.2-litre Perkins 404D-22 engine delivering 35.7kW at 2000rpm. 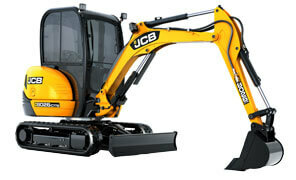 You can also opt for a Tier 4 Final/Stage 3B engine.